Seward Mountain as viewed from Donaldson Mountain to the south. 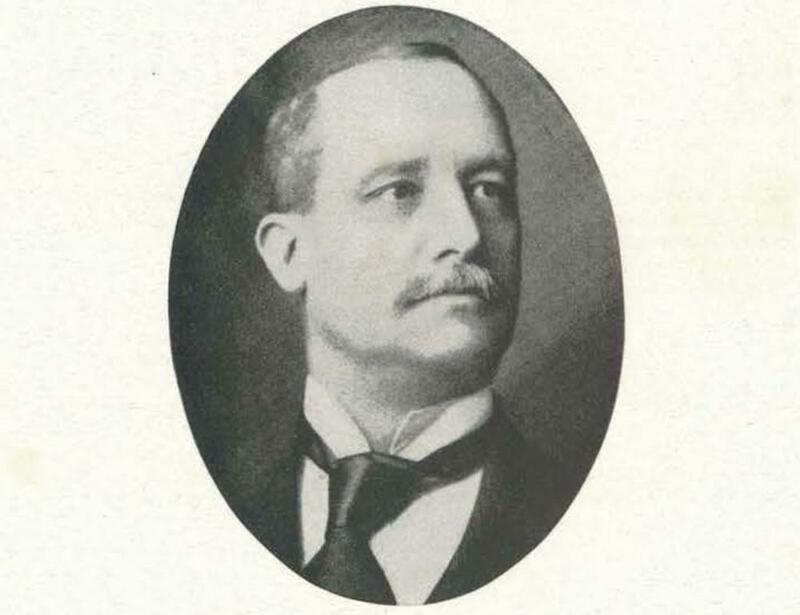 Verplanck Colvin was born in Albany on January 4, 1847 to a wealthy family full of recognizable names from local history. His given name, "Verplanck," was the maiden name of his father's mother, Catherine Huyck Verplanck, who herself was the granddaughter of Barent Pieterse Coeymans, the namesake of Coeymans. The family lived on Western Avenue in the Pine Hills neighborhood of Albany. There's a historical marker in front of the First Lutheran Church -- on the block between Quail and Cortland Place -- the marks the location of their home, "The Elms." He attended nearby Albany Academy, which was then located downtown near the Capitol. Colvin was a teenager when the Civil War broke out and his family moved from Albany to rural Nassau in Rensselaer County. 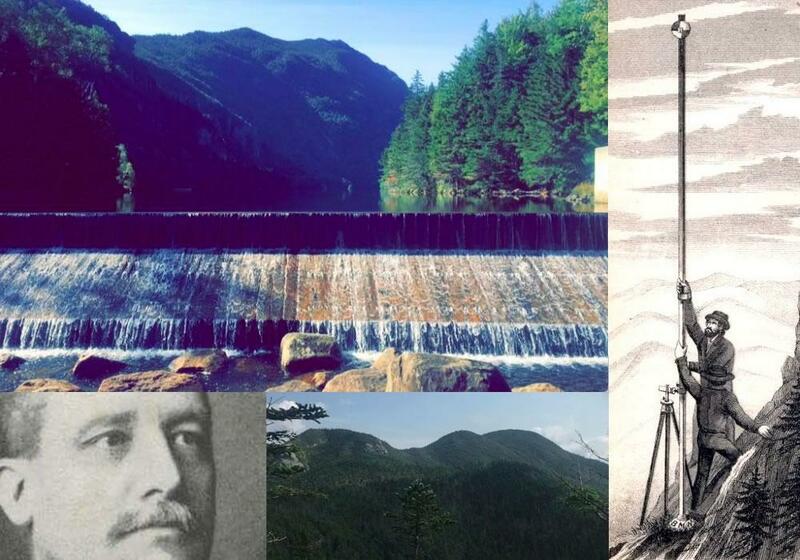 It was there that he began to gain a deep appreciation for the wilderness of New York State as well as the science of topographical engineering, spending hours, if not days, at a time exploring the forests which surrounded his home. He honed his craft by preparing topographical maps of the country and immersed himself in outdoor life. Rather than continue to pursue his new hobby, Colvin studied law under his father, James Colvin, who was a high-profile attorney (first elected district attorney in Albany County) and state Senator. He was relatively successful as an attorney. However, Colvin couldn't resist his true calling in life and soon began to devote himself to the science of topography as well as fully experiencing the then-relatively undocumented New York State wilderness. One of the most recognizable geological features in the Capital region is the Helderberg Escarpment, a little over 10 miles west of Albany. In 1869, Colvin created a topographical and geological survey of the escarpment that was illustrated via sketches. An abstract of the escarpment was purchased by Harper's Magazine, a well-known national print publication even then, which brought welcomed exposure to Colvin's scientific work as well as increased his name recognition. Colvin went across the country, sketching and mapping out the terrain as he visited the different regions of the United States. During the winter of 1870, he traveled the southern United States and then made his way west across the Great Plains towards Colorado to climb and map the highest mountains in the Rocky Mountain chain. His time in Colorado prompted another feature in Harper's, an article titled "The dome of the continent," which earned him not only widespread praise for his successful ascent and depiction of some of the most challenging peaks in North America, but also got him elected an honorary member of the Rocky Mountain Club of Denver, a rarely-conferred honor. Having experienced for himself the vast natural beauty of the United States, Colvin traveled back to his home state of New York to do what he could in order to ensure the preservation of the state's wilderness for generations of New Yorkers to come. 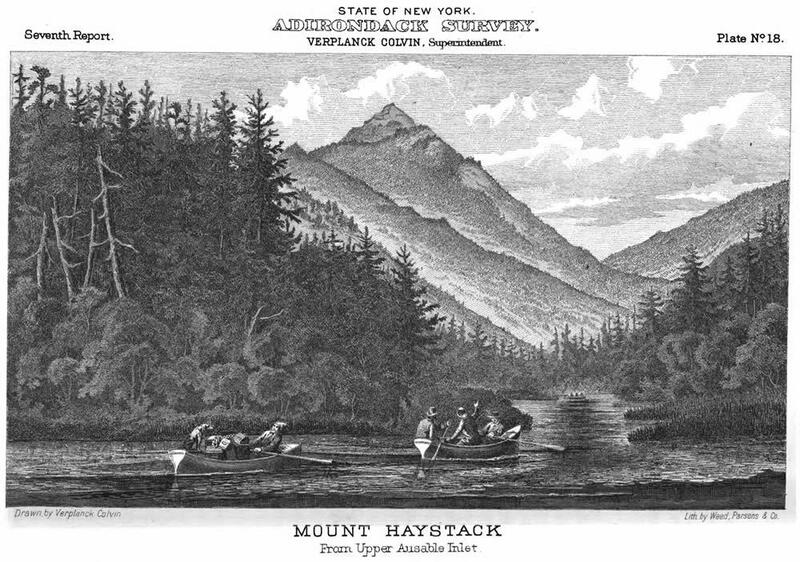 In a 1868 speech in Lake Pleasant, he affirmed for the first time publicly that he supported preservation of the region that would become the Adirondacks. Said Colvin of what would become the Adirondack State Park: "It is impossible for those who have not visited this region to realize the abundance, luxuriance and depth which these peaty mosses - the true source of our rivers - attain under the shade of those dark northern evergreen forests... The remedy for this is an Adirondack park or timber preserve." Colvin's advocacy earned him an appointment to the Commission of the State Parks of New York in 1873. As part of the commission, Colvin conducted an in-depth topographical survey of the Adirondack State Park. 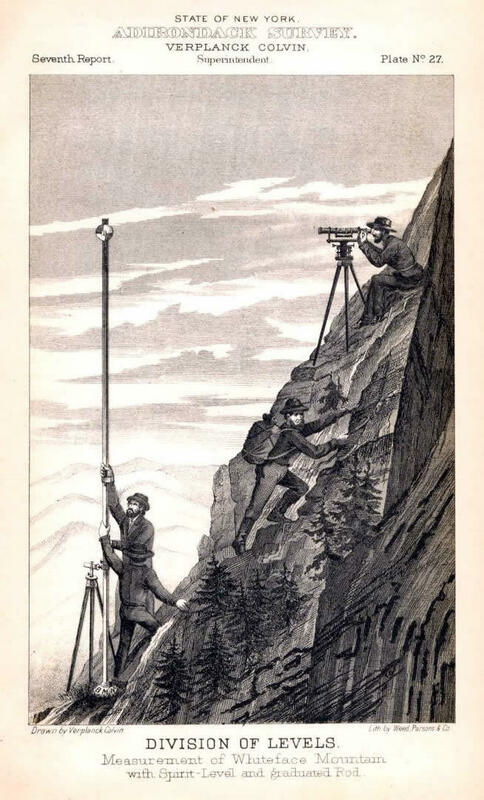 And it was during that survey in 1875 that he conducted the first measurement of Mt. 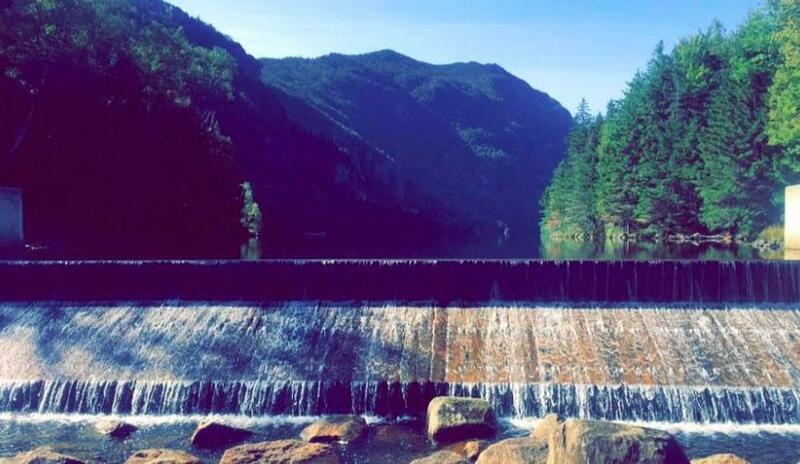 Marcy, the tallest mountain in New York State -- with just a level and rod. He confirmed the height of the mountain to be 5,344 feet using a method known as triangulation. Triangulation is the process of determining the location of a point by measuring angles to it from known points at either end of a fixed baseline, rather than measuring distances to the point directly. 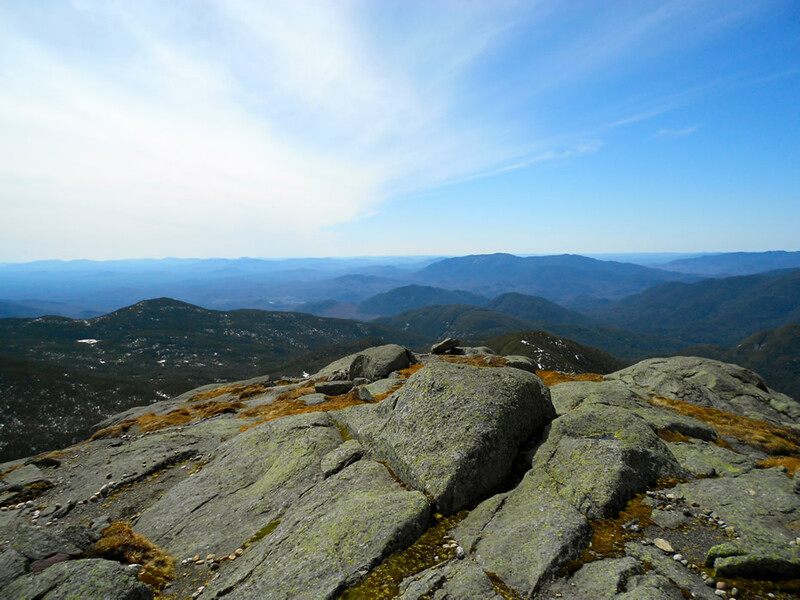 Climbing every single one of 46 Adirondack High Peaks over the course of his career -- which culminated in his appointment as Superintendent of New York State Parks -- Colvin used the triangulation method to determine the elevations of all these mountains. The accomplishment earned him the nickname the "Great Surveyor of the Adirondacks." Colvin continued to be a leading voice in the environmental preservation movement of the late 1800s into the early 1900s until his death in 1920. Mount Colvin, located in the Adirondack High Peaks Region, is named in Colvin's honor. So, too, is Colvin Ave in Albany. "The lands of the state, now owned or hereafter acquired, constituting the forest preserve as now fixed by law, shall be forever kept as wild forest lands. They shall not	be leased, sold or exchanged, or be taken by any corporation, public or private, nor shall the timber thereon be sold, removed or destroyed." 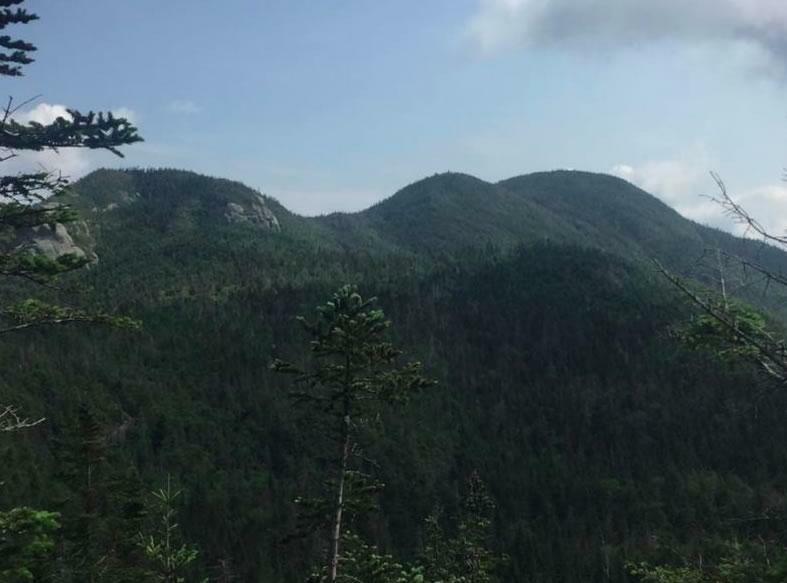 In other words, all the land that makes up the state forest preserve, which includes all of the Adirondacks and Catskills, will be kept "forever wild." Even today, any physical alterations to the lands that lie within the state forest preserve must be approved via a constitutional amendment subject to a statewide vote by New Yorkers. As a resident of VerPlanck St in Albany, which is near Colvin Ave, I approve of this post. Justin, I thoroughly enjoy reading your column ! I especially like all the historical tidbits that are placed throughout your article! Your writing is always a pleasure to read! "In other words, all the land that makes up the state forest preserve, which includes all of the Adirondacks and Catskills, will be kept "forever wild."" Confusing wording; the geographic Adirondacks and Catskills include both public and private lands, both inside and outside of the parks. The forest preserve only applies to state-owned land within the park boundaries. Forgot to also say, great article! Colvin's maps are amazing and many have been digitized by the New York State Archives: http://digitalcollections.archives.nysed.gov/index.php/Detail/Collection/Show/collection_id/25. Colvin is buried in Grove Cemetery in Coeymans with other members of this family. The family also donated a receiving vault in the cemetery.